National courier, KQ records ksh4b losses down from ksh5.6bn – Kenyatta University TV (KUTV). All Rights Reserved. The National Courier KQ, has recorded 28% reduction in pre-tax losses during the first half of 2018 setting a new record of Ksh4B loss compared to the previous year’s first quarter’s Ksh5.6Bn loss. According to the Courier’s CEO Sebastian Mikosz, the turnaround has been triggered by an increase in passenger numbers of up to 2.3 million within the past 6 months posting Sh2.3Mn returns. “We have seen an improvement in our financial and operating performance. Passenger revenue is up by 6%, there is a tremendous decrease in loss after tax by 28.8%. Passengers’ numbers are up by 6.6% and cargo uplift has gone up by 13% among others highlighted,” Sebastian Mikosz. Moreover the CEO assured that Kenya Airways is giving a facelift to its services offered at various touch points all in the business of enhancing customer experience. According to Mr. Mikosz, the customer is the most integral unit of the company thus more attention should be directed to them. “We carried 2.3 million passengers, achieved a cabin factor of 75.9% and on time performance of 82% within the last 6 months,” said the airline’s CEO. 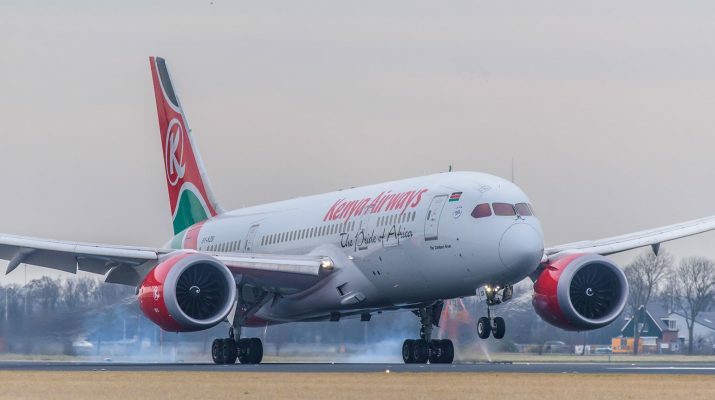 The CEO was speaking during a press briefing in a Nairobi Hotel on Wednesday morning where details of the direct flight from Nairobi to New York were also discussed. The company’s Chairman Michael Joseph said the connection between the United States and Kenya will provide more opportunity. “We want to bring more opportunities in Kenya by providing connectivity. KQ is a strategic asset to our country. From a business and operations point of view we have seen improvements in the last 6 months geared towards bettering our services.” Chairman; Michael Joseph. Among other factors that led to the losses in revenue for the courier includes fuel prices and income tax. Nonetheless Kenya Airways has expressed great will to cause a turnaround in the airline industry.